Easter Island is one of the most remote places in the world which probably has contributed to the fascination with its origins and history. After all, how unbelievable is it that this island was first discoverd by Polynesian people who arrived on humble wooden canoes? It is believed that these people arrived in an organized party of immigrants around 300-400 A.D. According to oral tradition, the first king of Easter Island was Hoto-Matua, a ruler from a Polynesian subgroup, the Marquesa Islands. It is also thought that his ship travelled thousands of miles before landing at Anakena, the famous sandy beach on the island’s rocky coast. But the mysterious arrival of these Polynesians is only the beginning of the fascinating story that makes Easter Island what it is today. 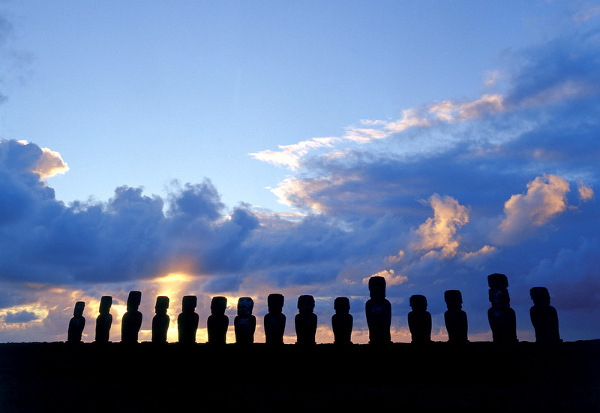 The Rapa Nui people were not only incredibly skilled at sea but also quite talented artistically which allowed them to create some of the most well-known statues in the world - the Moai - which were used for protecting of the clans that had built them. These are spread all over the island and are believed to be nearly 900 in total. If a giant stone statue, 4 meters high is already complex to build today, imagine how it might have been to build 900 of them back then when resources and technology were limiting. These enormous stone statues were carved out of tuff (the light, porous rock formed by consolidated volcanic ash), and placed on top of ceremonial stone platforms called ahus. The reasons why these statues were constructed in such high numbers and how they were moved around the island are still unknown. Nonetheless, in our opinion, that highlights nothing else but the utter charm and mystery of this tiny corner of the world. To find your perfect Chile holiday call our Travel Specialists on 020 546 6222. Easter island's climate is mainly subtropical; warm and humid in summer and mild in winter. From January to March the daily average temperature is 23 °C, and in the remaining months (July to September) is around 18 °C. Maximum temperatures are usually below 30 °C but from January to March these can be exceeded and reach 35 °C. During the winter (June to August), night temperatures are slightly below 10 °C. Easter Island is great to visit all year round as daily temperature range is small due to the influence of the ocean. Nonetheless, if you are someone looking for the highest temperatures, the perfect time to go would be during the austral summer that goes from December to March. This is the warmest and sunniest period on Easter Island. From June to August is Winter time but the weather is not harsh enough for extremely warm clothes. Spring/Autumn clothing is usually a good choice for this period - jumpers, a jacket for the evening, raincoat or umbrella. In Summer, from December to February, light clothing is definitely the go to choice. Maybe also add a jumper for the evening and umbrella or light raincoat just in case. 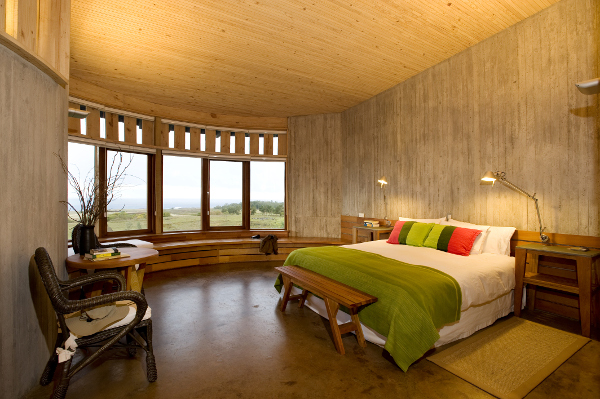 A luxury hotel on the western coast of Easter Island, this luxurious eco-resort offers outstanding views of the sunset. The flexible atmosphere and incredible stories of Easter Island are all the more reason to visit. The hotel's restaurant Poevera might just serve the best food on the island. This hotel has been uniquely designed in the style of the traditional Easter Island boathouse. It features a beautiful swimming pool overlooking the sea and large open spaces to relax after adventurous, happy, days spent exploring the island. It also features a restaurant that serves a mixture of Peruvian, Chilean and Rapanui cuisine. 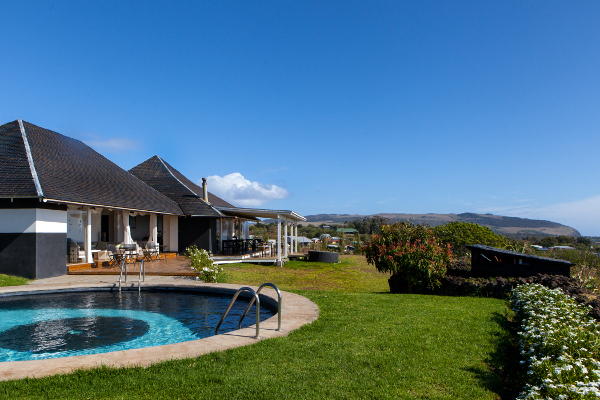 The Explora Rapa Nui has a privileged location on a hill overlooking the deep blue waters of the Pacific Ocean.This hotel is the perfect base for exploring this beautiful and mysterious island. There are 30 very comfortable and stylish guest rooms and suites, all with a small living area, hydro-massage bath and particularly soft mattresses. 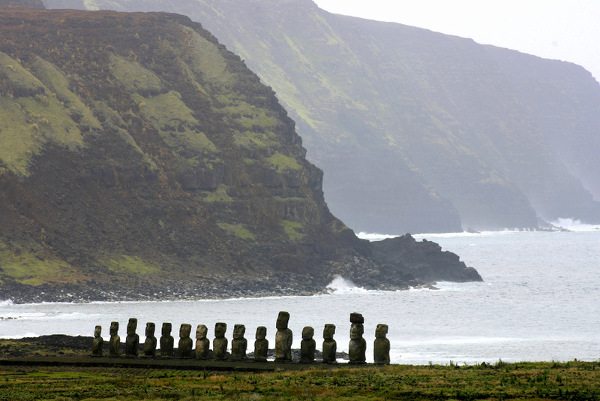 Hanga Roa is the famous capital of Easter Island. As the only sizeable settlement, it is where you will find most of the hotels, coffee shops, bars and restaurants. The town is also known for having a small collection of moai fragments, stone tools, and a tablet showing the still yet to be deciphered, Rapa Nui written language. Half of the Moai of Easter Island is located in the Rano Raraku National Park which itself makes for an unmissable spot while on the island. Considered to be the “living faces” of deified ancestors, the Moaia, are monolithic human statues carved between 1250AD and 1500 AD. They were a sign of protection to the clans that created them, and still impressively built by today's standards. 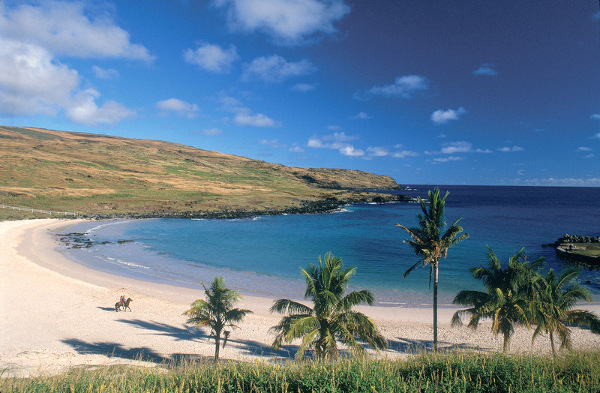 This white coral sand beach is in the Rapa Nui National Park and it still includes some Moai statues. According to oral tradition, Anakena served as the first settlement on the island, but nowadays it is your go to spot for relaxation and fantastic swims in its crystalline waters. Not everyone is aware of Easter Island’s numerous caves.These are great to visit as they will give you a better idea about the island's people and nature. The Ana Kakenga cave is one to keep in mind as it is located right at the edge of the island and has an opening looking towards the sea, which makes for a particularly impressive sunset view. If you are wondering why the cave is named “Ana Kakenga” be prepared for a sad love story. According to legend, this cave served as a hiding place for a young couple who fled from punishment for their forbidden love. In order not to be found, they covered the entrance from the inside and remained there until their death. The bodies were never found so it is still a mystery whether they died of hunger or threw themselves into the sea. Either way, this is probably the most romantic place on the island, and even more so when the sun is setting. As famous as the Rapa Nui people are for being the creators of the unique Moai statues, that is not all that they have accomplished on the island. They have also left a legacy of written history in the form of pictorial petroglyphs. While you can't find these everywhere as you would with the statues, you can still see them all around the island, and particularly at Papa Vaka. You can also find them at Ana Kai Tangata and Orongo. Who doesn't love a good sunrise? Tongariki is one of the most iconic sites on the island where you can see the popular 15 statues standing next to each other. Now imagine these same statues at sunrise at the early morning light. The area covered in the most beautiful shadows and dramatic atmosphere. You can't miss it! 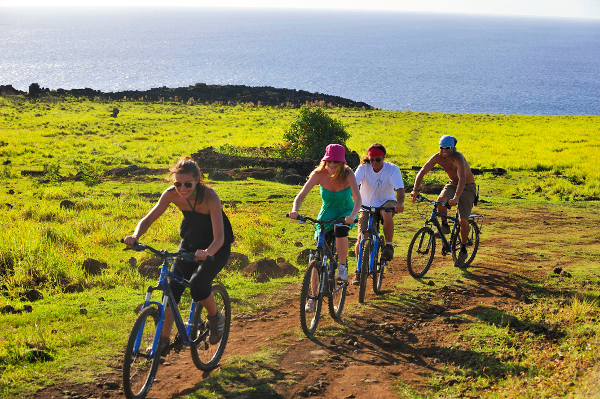 We all know that Easter Island is quite small and the truth is, you could cycle across the entire island in one day if you wanted to. You wouldn't have to rush your trip as the size of the island would allow you to stop and enjoy the various incredible sights on the go. Easter Island is not filled with high mountains, it’s quite flat with a few pronounced volcanic hills. The highest point you will find here is the Terevaka Volcano which is only 507 meters above sea level. Whether or not that is high enough becomes irrelevant when faced with the perfect 360-degree view of the entire island. We all know that the ancient Rapa Nui civilization is extinct, but that doesn't mean that traditional activities are out of question. 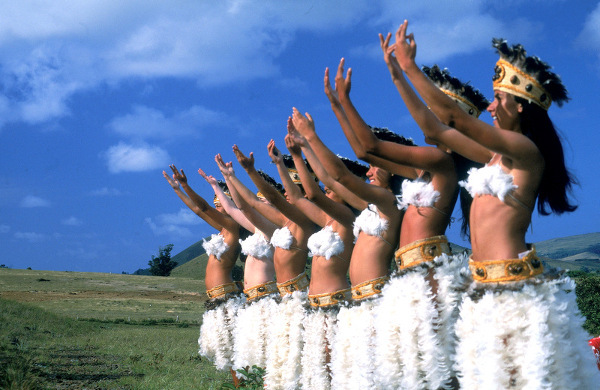 On the contrary as locals still speak Rapa Nui and also practice some of the Rapa Nui customs. 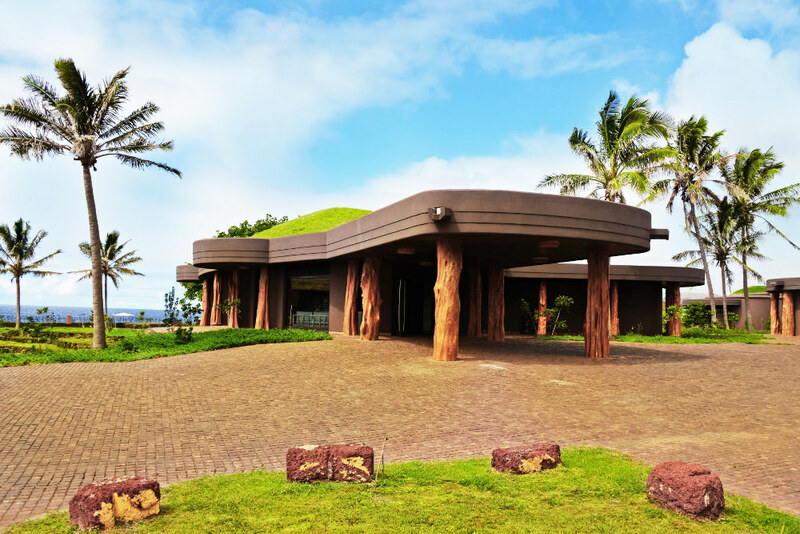 Head to Vaitemiki, located in Hanga Roa to see a traditional Rapa Nui dancing show. We promise it's not like anything else you have ever seen. If you are flying from Santiago your passport won't get stamped at the airport as Easter Island is still part of Chile. Make a little stop at Easter Island's post office to get the unique Moai stamp on your passport! After all, how many people can say that they have one? Easter Island is one of those places that feels like a parallel reality to ours. Located 3700km to the east of Chile, this tiny speck of land may be hard to get to, but it is definitely worth the effort. It is one of the most isolated places in the world and absolutely incredible to discover. Your holiday to Easter Island will take you on a completely new journey through beautiful nature, surprising secrets and remarkable history. Easter Island's heritage begins 1600 years ago when some incredibly brave people discovered the island in their wooden outrigger canoes. These people were actually a group of Polynesians, that would cross the vast stretches of open sea, navigating by the evening stars and the day's ocean swells. This uninhabited island quickly became their new home, Rapa Nui also known in Spanish as Isla de Pascua. On Sunday, April 5th, 1722, the Dutch explorer Jacob Roggeveen was sailing the South Pacific when he discovered the island. It so happened that in that year it was Easter day on the Christian calendar and so since then, this beautiful land became what we still call today - Easter Island. But the mystery of Easter Island doesn't rely solely on the arrival of this group of Polynesians, it is also carved in their ways and customs, as well as their unfortunate decline. The famous and imposing Rapa Nui & Moai statues are everywhere on the island but they hide many more secrets than the ones revealed at first sight. These monolithic statues stand between 4 metres and 13 metres tall. It’s believed that these are a total of 900 on the island and that they were built as a representation of the ancestors of the people. This has been explained by the fact that the Moai are almost always facing inland (or towards a community), rather than out to sea, suggesting they were looking after the people. In May 2012, something incredible happened when archaeologists on Easter Island surprised everyone with a new discovery. 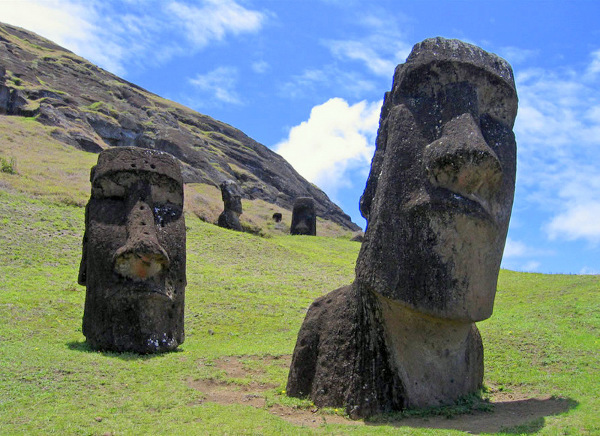 The 150 giant heads statues literally buried a secret, their buried up bodies were flying all over the Internet and people understood the incredible phenomenon that occurred here – the giant heads had bodies that had been gradually buried up by 500-plus years of erosion. To this day, no one is quite sure why the Rapa Nui civilization collapsed, it may be many more years before Easter Island's mysteries are fully resolved. While we wait, there's one thing that everyone can agree on when it comes to this Pacific Ocean surprise - Easter Island is one of those places to dream of and dream in, anytime.